As long as your application exists, some developers leave others will join. It’s good to have some metrics about certain code smells. A code smell is part of your source code which may be the root of a design problem but is not actually a bug. It’s good to have some tools to be “lord of the smells” for Padrino - don’t let smells lower the quality of your project. I will go through the following tools and will explain how you can use them. simplecov: It will automatically detect the tests you are using Rubies 1.9’s built-in Coverage library to gather code coverage data. metric_fu: Creates churn, code smells, and other coverage tools that generate reports about your code. 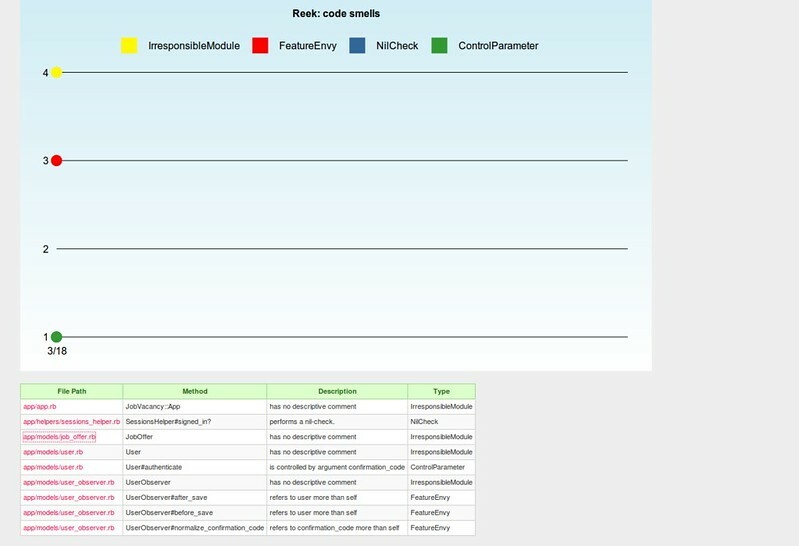 codeclimate.com: Online tool for measuring quality and security for your application. 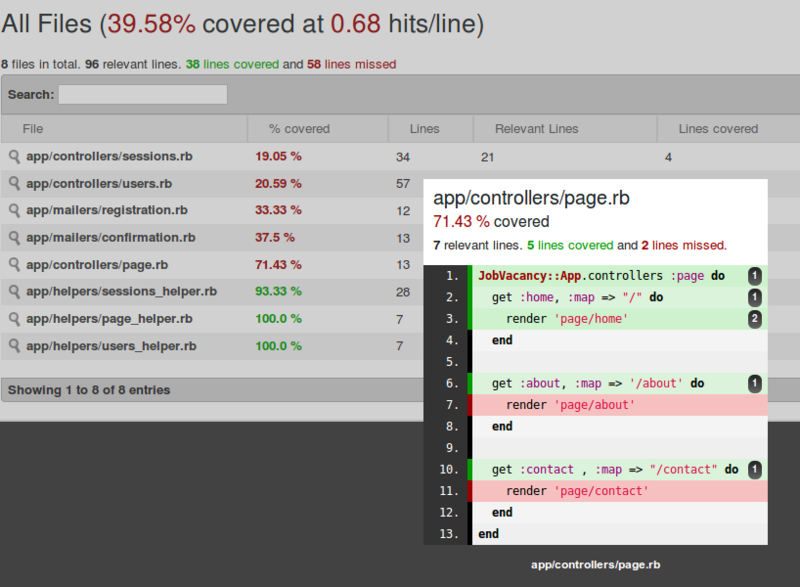 Coverage report generated for RSpec to ~/git/job-vacancy/coverage. 209 / 252 LOC (82.94%) covered. 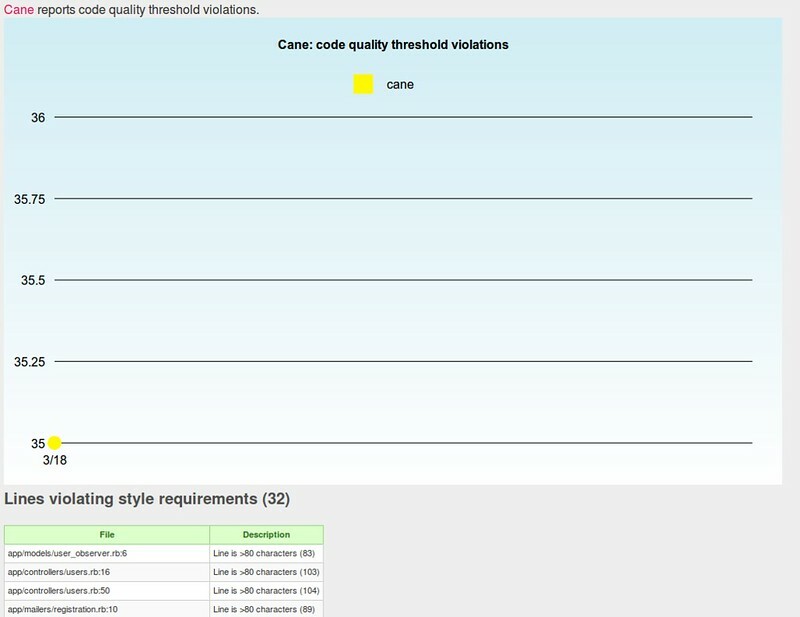 The following metrics are created by cane can be used if code quality thresholds are met. Cane metric to measure code quality thresholds. 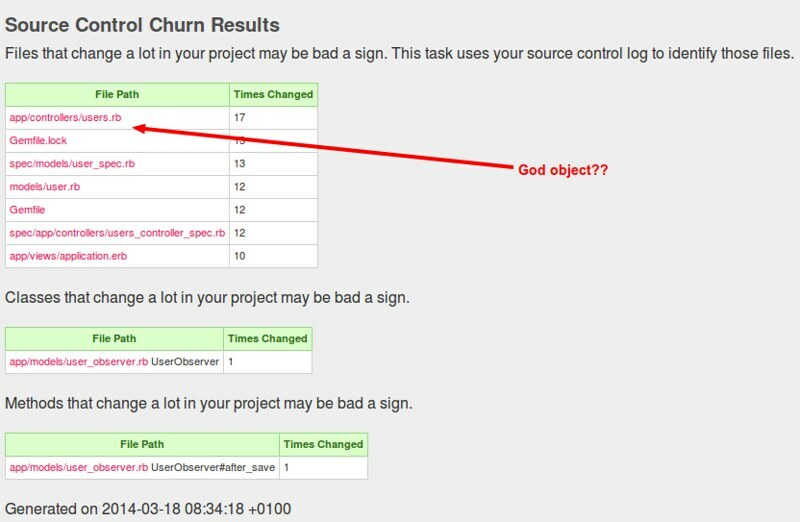 churn measures the change ratio of files and you can use this indicator to have more code review, refactoring, more tests for this beast of a file. flog a high flog score is an indicator for code complexity. 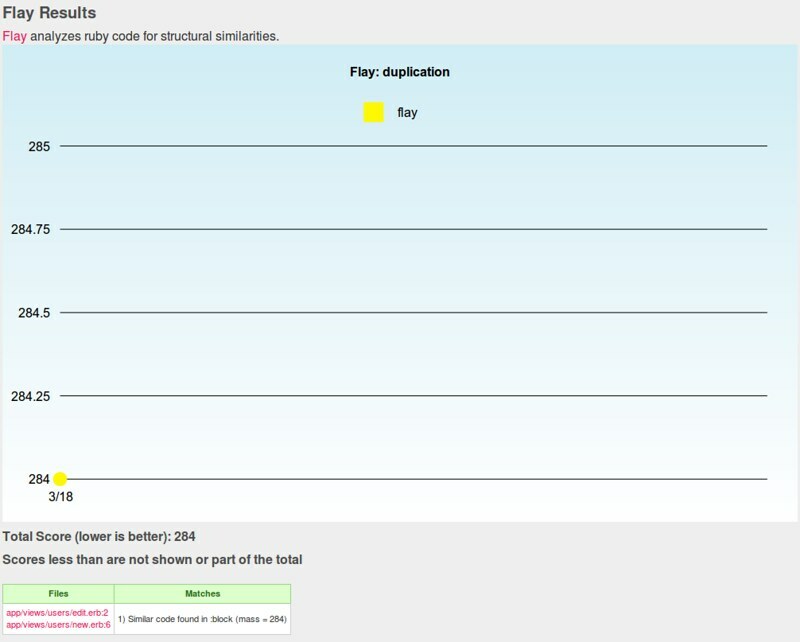 Flog measures the complexity of a file by giving several flaws in the code a certain ranking. 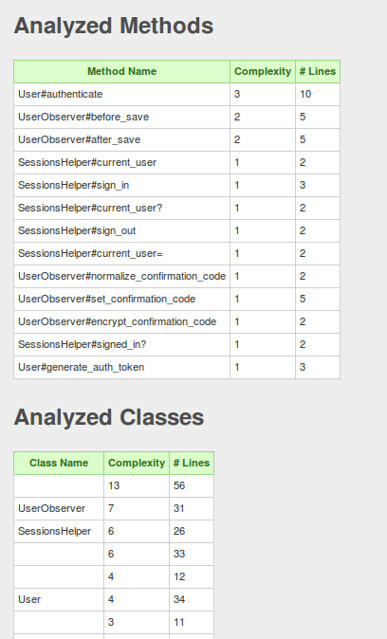 flay analyzes code similarities in your code base - good way to stay clean with DRY. reek checks your classes and modules after code smells. 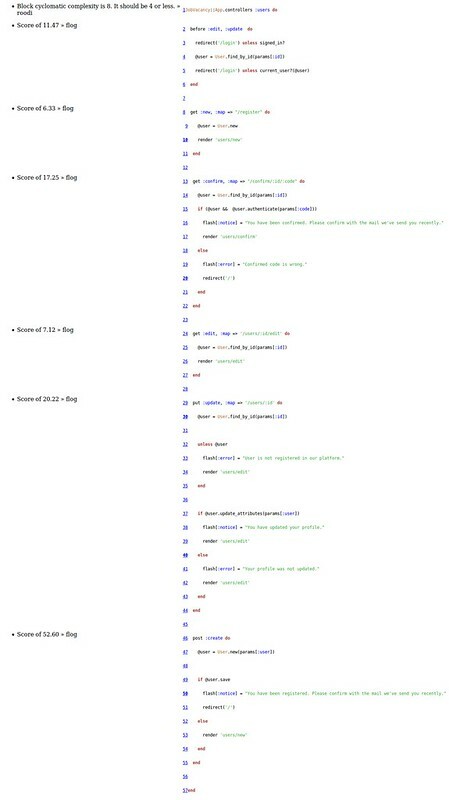 Under the reek wiki you can find all code smells and what they actually mean. reek checks your classes, and modules after code smells. hotspot a gathering of the flog, flay and reek score of the files in your application. 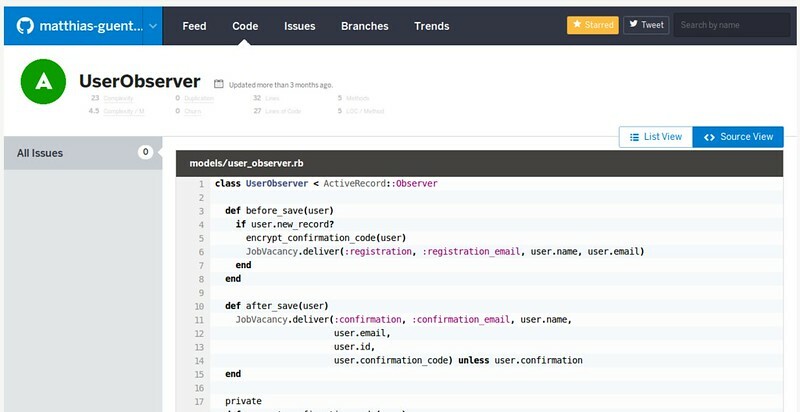 roodi scans your code and informs you about design issues you may have. 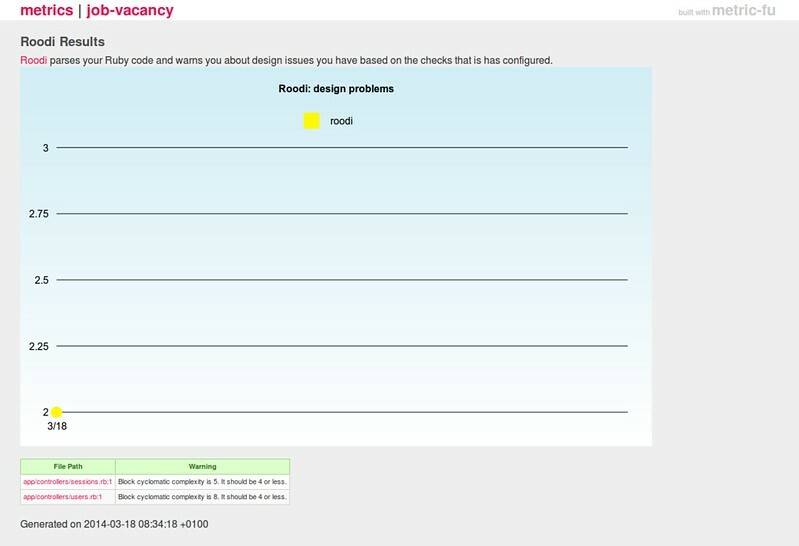 Roodi detect issues with your design. 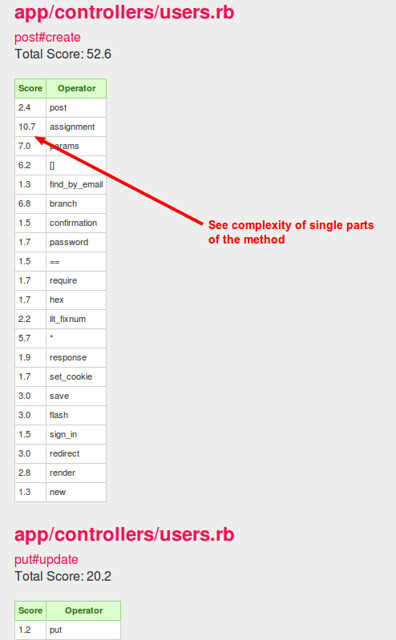 saikuro generates a list of cyclomatic complexity of each method found in your application. 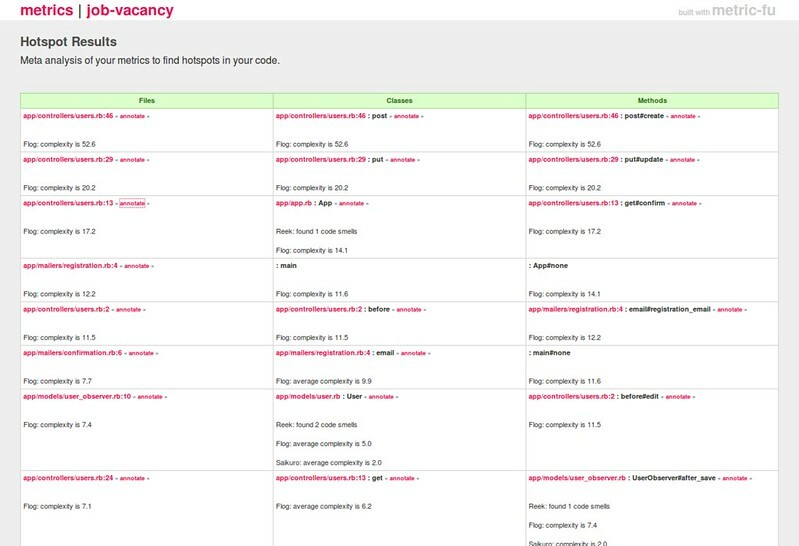 Go to the website codeclimate.com and register. Once you are logged, you can add any ruby related open source project for free. Code Climate - add a repository.